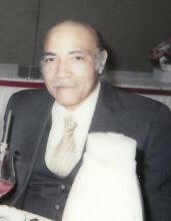 Clyde A. Johnson, loving husband of Barbara, beloved father of the late Lavitha, loved by a host of family and friends. Funeral services at 11:30 a.m. Wednesday, April 03rd at LUCAS MEMORIAL CHAPEL 9010 GARFIELD BLVD. in Garfield Hts. and the family will receive friends one-half hour prior to service. Interment Knollwood Cemetery.